These are books I read in 2018, not necessarily books newly published in 2018. Dolezal, James E. All That Is In God: Evangelical Theology and the Challenge of Classical Christian Theism (176 pages, Kindle Edition). Dr. Dolezal writes a defense of the classical doctrine of divine simplicity and its importance for the church today. This was my first real introduction to the doctrine, and it’s fascinated me ever since. Cham, Jorge, and Daniel Whiteson. We Have No Idea: A Guide to the Unknown Universe (361 pages, Kindle Edition). A scientist and a cartoonist team up to explain (sort of) various things in science taken for granted but that we have no real understanding of why they are the way they are. It’s really refreshing. Holmes, Christopher R.J. The Lord is Good: Seeking the God of the Psalter (292 pages, Kindle Edition). Dr. Holmes uses the Psalms to explain the goodness of God as His nature (another adventure into divine simplicity, as it turned out). One of my favorites of the favorites. Miller, Jr., Walter M. A Canticle for Leibowitz (338 pages, Paperback). Ray Van Neste recommended this dystopian novel, which I had never heard of before. After a future nuclear apocalypse, a monastic order strives to preserve its heritage. Myers, Ben. The Apostles’ Creed: A Guide to the Ancient Catechism (112 pages, Kindle Edition). Dr. Myers walks through each article of the Apostles’ Creed, clearly and helpfully explaining each in an accessible way. Terry, Thomas J and J. Ryan Lister. Images and Idols: Creativity for the Christian Life (160 pages, Hardcover). Thomas Terry (of Beautiful Eulogy and Humble Beast) and Ryan Lister write a defense of arts and creativity from a Christian perspective. Dekker, Thomas and Robert Hudson. Four Birds from Noah’s Ark: A Prayer Book from the Time of Shakespeare (176 pages, Paperback). Thomas Dekker lived as a contemporary of Shakespeare and wrote these prayers for believers to use. I found it to be much more accessible than Valley of Vision. Enger, Leif. Virgil Wander (303 pages, Kindle Edition). This is Enger’s third and newest novel, released in the second half of 2018. I began the year with Peace Like a River and ended with Virgil Wander, both of which were wonderful. These will certainly be added to the regular re-read regimen. The occasion of this book is the backlash against David Daleiden and his organization’s release of undercover videos documenting the monstrous practices of Planned Parenthood. How can the deception involved in undercover work be justifiable for Christians and believers? Torrey’s outline builds the foundation for his ultimate argument by looking at God’s relationship to deception (chapter 1), man’s use of deception (chapter 2), a brief survey of deception in Genesis (chapter 3), and the penultimate chapter deals with the Hebrew midwives, Shiphrah and Puah, who deceived Pharaoh in defense of Hebrew baby boys (chapter 4). The final chapter addresses objections. Torrey seeks to distinguish between lying and deception; he further distinguishes between sinful and holy deception. Holy deception is “any form of deception that subverts injustice in support of righteous judgment of God” (Foreword). It’s an interesting distinction, and one I haven’t thought of nor heard taught before. As defined above and explained in the following chapters, it seems to be a useful definition. It’s specific enough to be testable; it actually has boundaries beyond Justice Breyer’s “know it when I see it” vagueness. The question of Rahab’s deception of the King of Jericho’s Brute Squad is one I have been asked before, and at that point, I answered in line with the objectors to holy deception: the lie was sin, but God used it for His purposes nonetheless. However, I feel the weight of the argument presented here: she’s commended for her righteousness, and the deception is a necessary component of that righteousness. She could not have spared the spies without it. One possible rejoinder to this argument would be that Hebrews 11 speaks from the perspective of justification, not the reality of the moment. What we see in Hebrews 11 is the way Jesus views justified sinners, not a commentary on particular, discrete acts in the moment. Even justified sinners’ obedience is still tainted by sin until we reach the full measure of Christlikeness for which we have been saved. In that case, the lie would be forgiven, and all that remains to be seen in Rahab, now that she’s justified, is her faith in the promises of God. Chapter 4 addresses the direct parallel to our times: the Hebrew midwives, represented by Shiphrah and Puah, defy Pharaoh’s decree to murder Hebrew baby boys and lie to defend themselves. (Interestingly, not only do they lie, but they also take a cheap shot at the weakness of Egyptian women.) It’s a powerful chapter. Chapter 5 seeks to answer some common objections, namely, isn’t deception antithetical to God’s nature? Isn’t it lying and therefore prohibited by the eighth commandment? Isn’t it basically situational ethics (ends justifying the means)? Brevity is a feature of the book, not a bug, so my desire for further discussion about the objections doesn’t fall within the scope of the author’s intent. I’d definitely like to probe the parallel between sleep as non-natural and non-sinful and deception as the same. I don’t necessarily disagree, but I would absolutely be interested in diving deeper. This line from the final chapter was particularly important for not only the objection it answers but also the concept as a whole: “holy deception is not defined by the ends or conclusion. It is defined by what it glorifies and defends” (32). 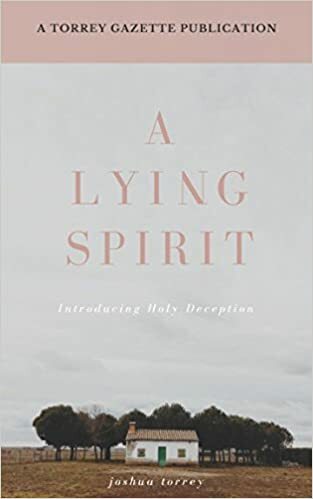 A Lying Spirit is a well-thought, thought-provoking look at a fascinating and immediately applicable subject. My thanks to Joshua Torrey and Torrey Publishing for the review text, and may we all receive double portions of the Spirit of Shiphrah and Puah to defend children against the Pharaohs and Herods of our day. Be sure to check out Torrey Gazette, and We Believe, whose beautiful foreword Joshua wrote. Qureshi, Nabeel. Answering Jihad: A Better Way Forward. Last year, I read Seeking Allah, Finding Jesus (SAFJ) and found it to be a compelling story of Nabeel Qureshi’s conversion from Islam to Christianity. With clarity and compassion, he spoke with deep respect for his family and heritage, with searching honesty at his struggles, and with insightful commentary at his discoveries about Islam and Christianity. Now, Qureshi writes Answering Jihad (AJ), tackling 18 of the most common questions he is asked about Islam in general and jihad in particular, especially in the wake of Islamic-related attacks post-September 11. AJ continues the same spirit of concision, clarity, and deep-rooted compassion that characterizes SAFJ. This is not a book of fear-mongering or alarmism; it is the unvarnished honesty of looking someone in the eye and answering hard questions honestly. This book is an excellent introduction to the questions and issues that are circling today: Do Muslims and Christians worship the same God? Which Muslims are the “true” Muslims: the violent or peaceful ones? Where did the idea of “jihad” come from? You can preorder Answering Jihad here, and preordering allows you access to two chapters immediately, plus videos of Nabeel Qureshi discussing the content of those chapters. NOTE: I was provided an advanced copy of the book as a part of the release team. I was not expected, required, nor pressured to provide a favorable review. Wallace, J. Warner. God’s Crime Scene: A Cold-Case Detective Examines the Case for a Divinely Created Universe. Wallace is a former cold-case detective who has applied his investigative expertise towards the historical reliability of the Gospels in Cold-Case Christianity, his first book, and now towards the plausibility of a created universe in God’s Crime Scene. God’s Crime Scene is far more philosophically dense and rigorous (that’s not a criticism, by the way) than Cold-Case Christianity, but the investigation motif of the book is an excellent way of presenting the information in a compelling, understandable way. Each chapter begins with an anecdote from Wallace’s experience as a detective, and each case he mentions highlights a particular aspect of the “investigation” into the nature of the origin of the universe. He returns again and again to the crime scene, detective analogy to help clarify and reinforce the points he’s making about the evidence that points toward the plausibility and likelihood of a Creator. The weakest discussion is the final chapter on the problem of evil. Wallace’s case is built quite substantially on the reality, importance, and divine emphasis placed upon humanity’s possession of free will. I would have preferred a more nuanced definition and usage of “free will” than he offers; I don’t think I disagree as much as it seemed at first, but he’s not as careful as I would have liked. Furthermore, and more problematic, was the lack of any substantive discussion of the reality and effect of sin and the mission of God to deal with sin once and for all. Granted, this is an apologetics work that is primarily philosophical and not exegetical, but the Christian answer to the problem of evil and the existence of the world necessarily includes the origin of sin and its ultimate end. This is a major weakness in the book. Other than that final chapter, the book as a whole is well done and a useful tool in the arsenal of faith. It’s a worthwhile read (even if you skim or skip that last chapter). The final tally for 2015 is 113 books read at a total of 32,642 pages. The book and page counts are based on books I’ve completed, not books in progress. Thus, books listed under a particular month are those finished, but not necessarily started, in same month. I tried to read somewhat broadly, trying to balance my tendency toward theology and commentaries. Areas included math/science, history, historical fiction, biography, fantasy, poetry (ancient and modern), and yes, theology and commentaries. See my posts here and here on these three books. Brown, Stephen. The Last Viking: The Life of Roald Amundsen (400 pages, Kindle Edition). Brown takes the reader along as the unseen passenger on Amundsen’s various adventures: his most famous trek to the South Pole, but also the Northwest Passage, the Northeast Passage, and the dirigible flyover of the North Pole. The portrait of Amundsen as “the last Viking” seems to be an apt one: the conqueror of lands, the indomitable explorer, the strange mixture of harshness and costly loyalty are all on display. The thought struck me while reading The Last Viking: Amundsen seems a lot like Doug Wilson’s description of Beowulf. Beowulf, Wilson argues, is presented by the anonymous author as the pinnacle of the old pagan ways, the best the unbelieving world has to offer. Even so, Beowulf is not enough; his flaws and mortality cannot win every battle. The unstated assumption by Beowulf’s presumably Christian author is that there is One greater than Beowulf, whose missionaries would have arrived about the time it was written. Amundsen seems to fit the Beowulf mold, having all the worldly admirable qualities still in esteem even today. He’s the self-made man who accomplished the goals he set for himself in childhood. He’s popular and aloof. He’s fiercely loyal–even at great personal cost–but not afraid to blast those who betray him. His affairs with married women (both requited and unrequited) happen on his timetable between expeditions. He’s an international hero at times and an international heel. But the cracks in Amundsen’s armor are telling: once he had conquered both Poles, he was too old to explore anymore. The purpose of his life, his childhood dream, was now in the past. What more was there to do? Brown notes that he spent more time on ice or in the Waldorf-Astoria in New York than his “home” outside Oslo. All his boasted pomp and show. What did it profit Amundsen to gain the top of the world (or the bottom), only to lose his soul? What did he gain from international fame? from the unrequited love of Elizabeth Bennett? from the pettiness of his feuds with brothers and the British? from having his name and flag at the Poles, only for his heart to be frozen harder than the (Ant)Arctic ice? Amundsen is rightly lauded for his resourcefulness, his loyalty, his respect for indigenous cultures, and for accomplishing what no one else had done. But Brown does us a great service by showing (however unwittingly) the emptiness of Amundsen’s life; may we turn away from “boasted pomp and show” to “solid joys and lasting pleasures”–those lavished by Zion’s King, the Lord Jesus. Walker, Lars. 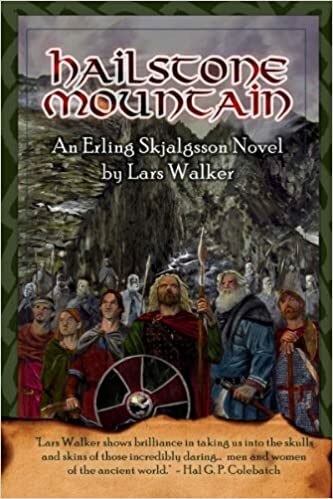 The Year of the Warrior; West Oversea: A Norse Saga of Mystery, Adventure, and Faith; Hailstone Mountain: The Erling Skjalgsson Saga. 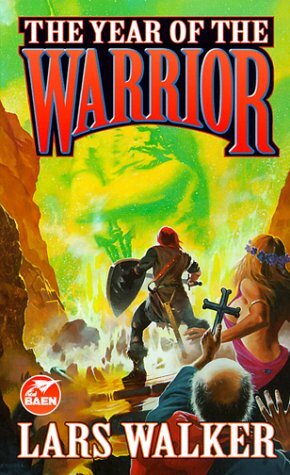 This four-book series (books 1 and 2 combined in a single volume in The Year of the Warrior) is told from the perspective of Ailill the Irishman, who was captured in a Viking raid and claimed to be a priest in order to save his skin. 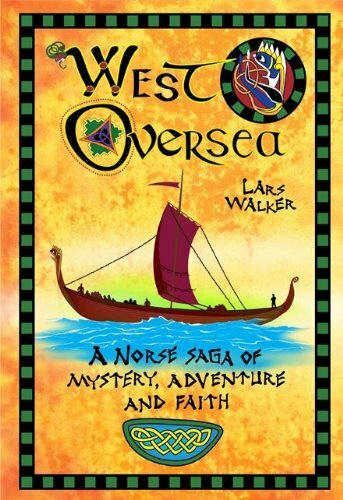 His tale is one of becoming what he initially pretended to be: Ailill’s struggles with God and faith and ministry are as visceral as the aftermath of the battles strewn across Scandinavia. The Saga is refreshing in its viscerality (I made that word up; trademark pending). If you’re looking for clean, sterile, cookie-cutter, not-found-in-reality Christianity, look elsewhere. Like every good story, the characters learn and grow and fight their way to the end, neither unscathed or unchanged. It went on an on, like a bishop’s homily… (Kindle Location 3059). The path was as narrow as a maiden’s waist, and the ice that coated it as smooth as a Pelagian’s tongue (Kindle Location 3062). unruly as another man’s dog (KL 2891). The noise of their howling and our screaming would have given Azazel nightmares (KL 4416). I felt like a fat man on thin ice (KL 6635). I was sicker than a pregnant bride (KL 6784). Do any of us love Him worth the use of the word? He loves us–that’s the point. Even the best of us raise our pitiful love to Him as a child raises some dead thing he’s found in the field and brought home to his father, and the father pretends it doesn’t stink and says thank you because he loves his child (KL 3186). But there is one act of courage that can be done only with God’s help. That is to set aside all the rags you’ve covered yourself with and all the props you’ve stood yourself up with, and risk your life on starting fresh under His mercy (KL 4539). I can definitely see this being a series I’ll return to often. It’s great storytelling–the kind that confronts you, inspires you, and leads you to wonder and worship. Larson, Erik. 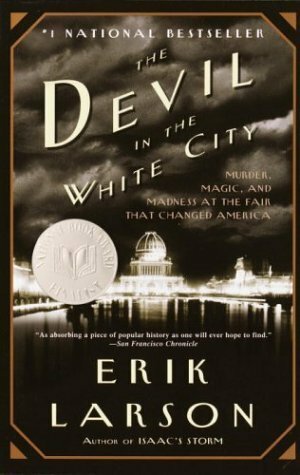 The Devil in the White City: A Saga of Magic and Murder at the Fair that Changed America. I’m convinced that the majority of people who hate history do so because history is so often taught so badly one couldn’t help but hate it. In order to kindle (or rekindle) our affection for history, we should take note of the fact that the bulk of the word itself is story. History is simply a reflection upon the reality of life from a particular perspective, possibly with a particular goal. Life is not a stark collection of dusty dates and impossible-to-remember names; life is a story: events flowing after one another, flowing from one another, flowing to another. A good historian is one who does the hard work of research and analysis and then proceeds to do the possibly harder work of presenting that as a coherent story. Erik Larson does so well at this that he has to include a disclaimer at the beginning of the book: this is not fiction. Whatever is in quotation marks is an actual quote taken from memoirs, letters, newspapers, etc. This is history so well done that we have to be reminded that it is, in fact, fact. This is the story of the World’s Fair in Chicago in 1893, the birthplace of Cracker Jack, Juicy Fruit, and the world-famous Ferris Wheel. The buildings were painted white to showcase the natural beauty of Lake Michigan behind and to reach for splendor and glory in themselves–at least more than New York could do. Larson details the hardships, tragedies, and triumphs of the architects who saw the White City come to pass and be the success it turned out to be. Larson also tells the story of a ruthless, psychopathic serial killer whose personality and methods seem to be taken straight from police procedural shows of today. Mudgett’s (alias Holmes alias …) murders are not recounted in lurid detail; Larson’s masterful storytelling comes through as much in his discretion as his research and detail. The effect turns out to be far more effective and chilling. The heart of a truly evil–perhaps even demonic–man is shown for all to see. This is a great book–history very well done. I’m curious about Larson’s other works, given how well this one was done. Smith, S D. The Black Star of Kingston. 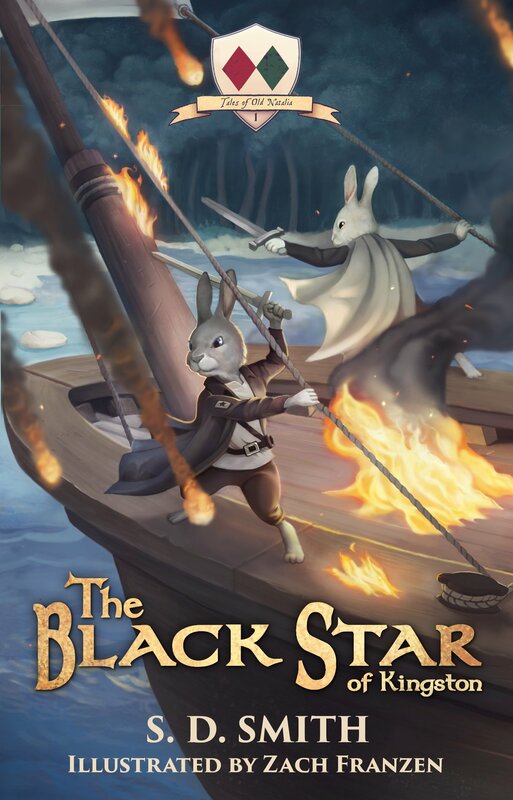 The second book of the Green Ember series is a prequel, looking to the story of famed rabbit Lord Blackstar, originally known as Fleck. The Black Star of Kingston is a shorter book than The Green Ember, but it doesn’t lack for adventure or intensity. Smith’s storytelling is driven, striking the right notes of tenderness and action in all the right places. Smith excels in the old adage of “show, don’t tell,” particularly when it comes to the virtues of the characters. We’re shown the beauty of loyalty and love. We feel the weight of guilt and heartache. We feel the excitement and fear of battle. We’re shown the honor of good, hard work and its inherent value, even in spite of how unglamorous or unnoticed it may be. I finished The Green Ember curious about the series, but not yet sold. I finished The Black Star of Kingston sold on the series and curious when the next one is coming out. This is a great story and series for kids of all ages.